Tucker has an almost unnaturally huge voice, but when momentum builds inside a Sleater-Kinney rhythm and then arrives like a flash flood, the sound makes Tucker’s seem the only appropriate voice to speak of what’s at stake: in “Youth Decay,” love and hate, life and death. Sleater-Kinney also plays any number of light, happy tunes that don’t threaten anybody—that’s what one is supposed to say after talking about a song like “Youth Decay,” to take the edge off. 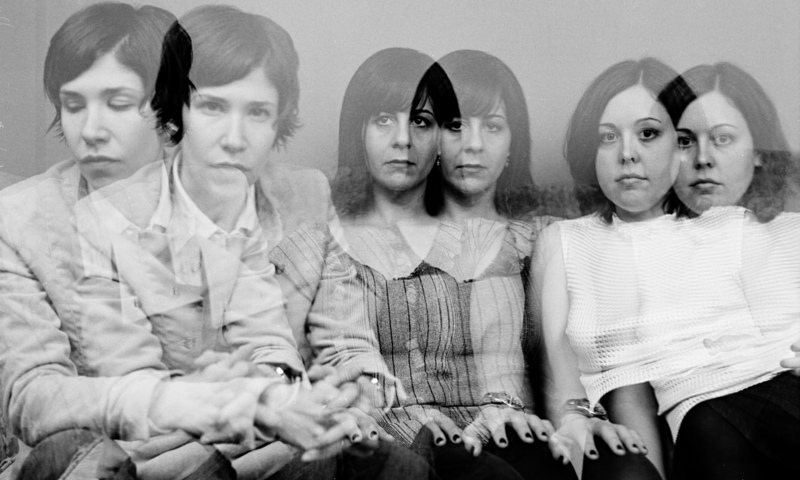 But with Sleater ­Kinney the edge is never off. It’s what the band was created to pursue: “2001 will be a space odyssey for us, and we won’t… be here,” Brownstein said from the stage at Sleater-Kinney’s most recent show, last November in San Francisco. In the midst of their brief hiatus, Brownstein, Tucker and Weiss remain off the radio but on the mind of the pop world, and plotting their return. This entry was posted in Album Reviews and tagged Greil Marcus, Sleater-Kinney. Bookmark the permalink.